I left an abrupt ending to my last post. I guess the trip kind of ended abruptly, so the last post fit that mould. The last few days felt just as abbreviated. 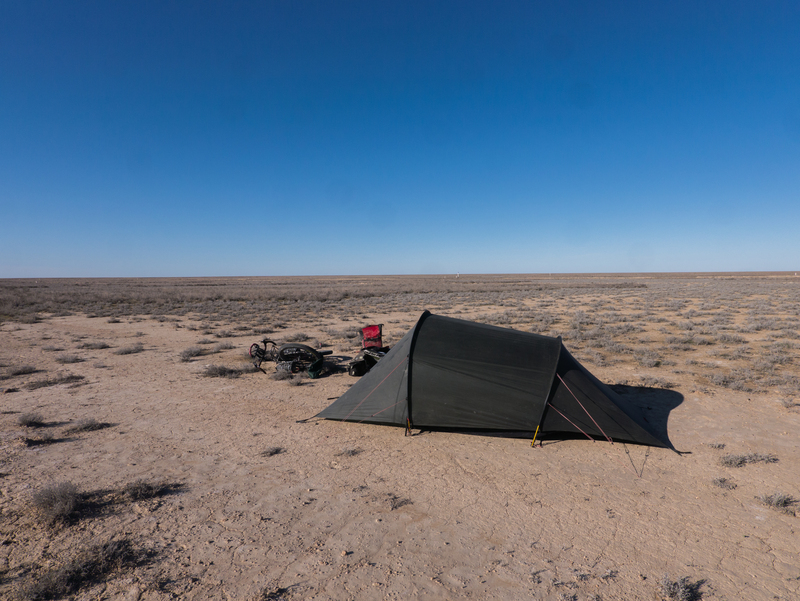 ‘Now you’re on a bus, now you’re running around Ulanbaataar, now you’re home.’ There wasn’t some glorious ‘last night looking over the steppe and pondering the experiences of this trip’. 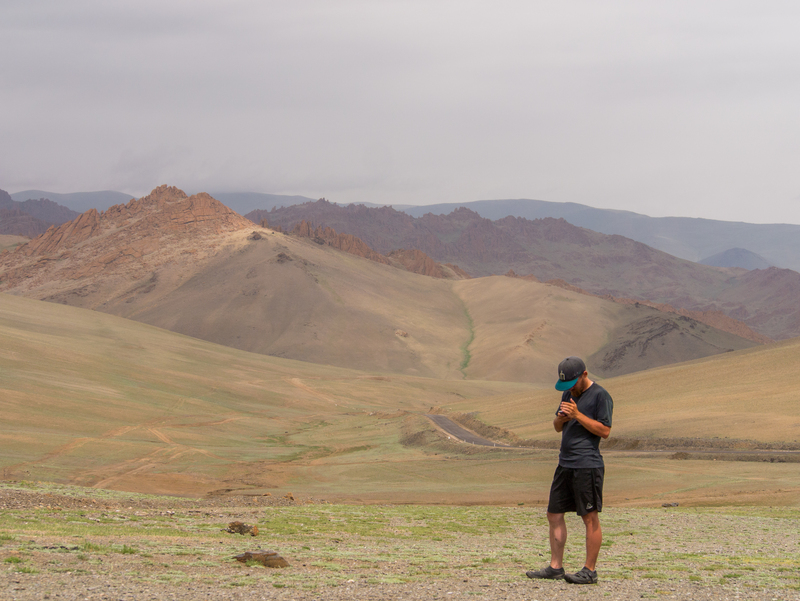 After a few weeks back in the States, I’ve had some time to reflect on this voyage and so I’m going to write a post reflecting on my time in Central Asia. Also, now that I’m back on a computer with a decent screen to edit photos on, I am going through my photos for ones that I may have missed along the way. I thought I’d share a few of my favorites and some of those that didn’t make the posts for whatever reason. 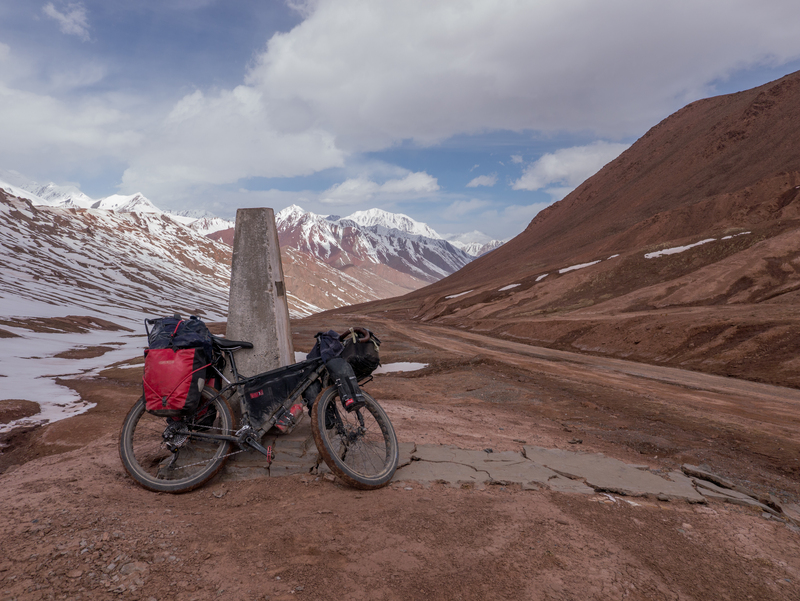 First off, thank you to those of you who have forwarded stories about the four cyclists who were killed in a terrorist attack in Tajikistan a few days ago. It’s a heartbreaking story, and one that sort of hit like a bag of bricks. Two of the deceased were from DC, and one, like me, left his job in government before taking off on his cycling journey. The whole thing just sounds so terrifyingly familiar. I have a few friends in common with Jay and Lauren from DC, but didn’t know them personally. I also didn’t take the exact route upon which the attack happened. 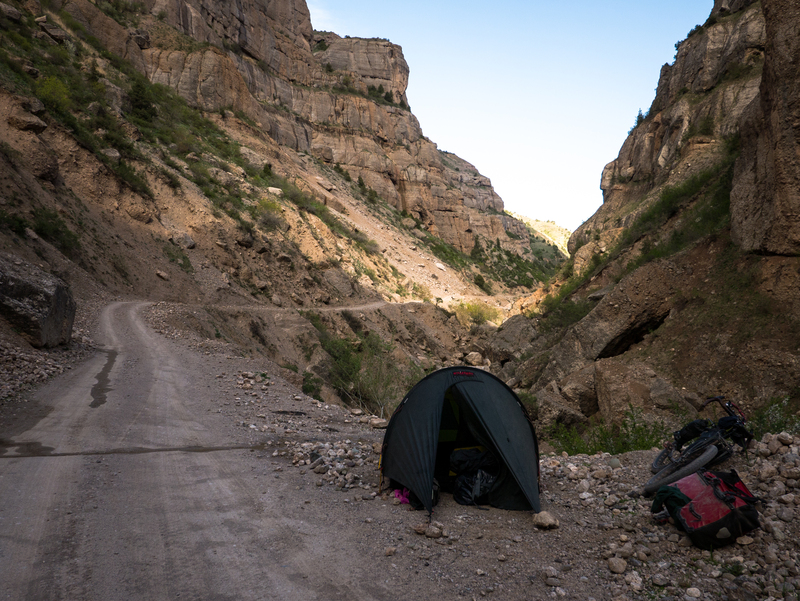 They were traveling on the southern route from Dushanbe to Khorog, while I took the shorter and more remote northern route. It was an incredible stretch of riding. Challenging, remote, but incredibly underdeveloped. Bridges hanging by half their cables, roads that had basically become streams. Each day brought corrupt policemen and multiple armed military checkpoints. There weren’t many other cyclists up there that early in the season, but those I did meet were some of the most incredible people I’ve met in my life. I’m sure Jay and Lauren were no different. If you look back at the blog post from that stretch, I talk a lot about how vulnerable and exposed I felt. The region and people were just so unfamiliar to me. Surrounded by ethnic tensions that I had only really been aware about for the last few months. I was so far out there, and alone. Right around there, my emergency beacon went dark too, adding to that feeling of vulnerability. A few weeks after I went through, some cyclists got shot at from across the river in Afghanistan. 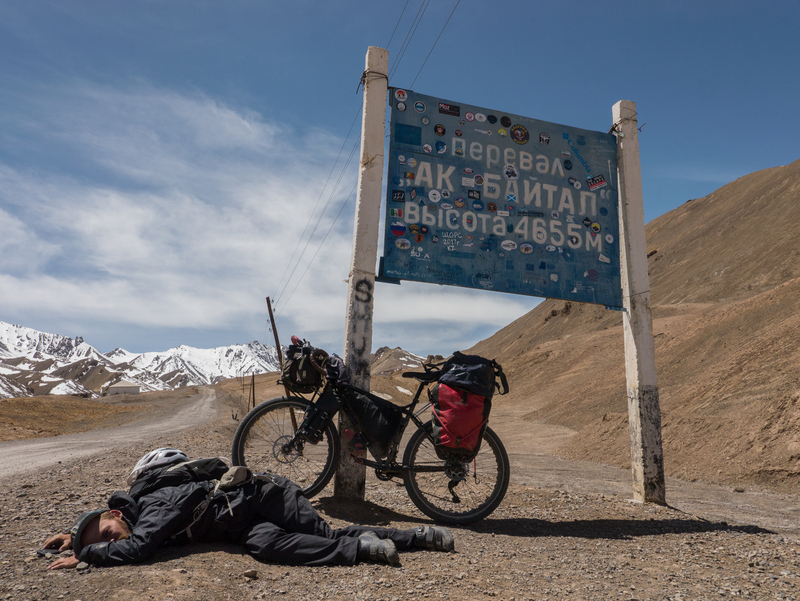 The Pamir Facebook page started discussing whether or not it was a good idea to camp at all along that ~300km border stretch, and my response was sort of like ‘wait, what? ?’ I had never camped down next to the river marking the border, but I had repeatedly camped within far sight of the other side. There was nowhere else to camp, for the most part. Monstrous walls towered over each side of the river. 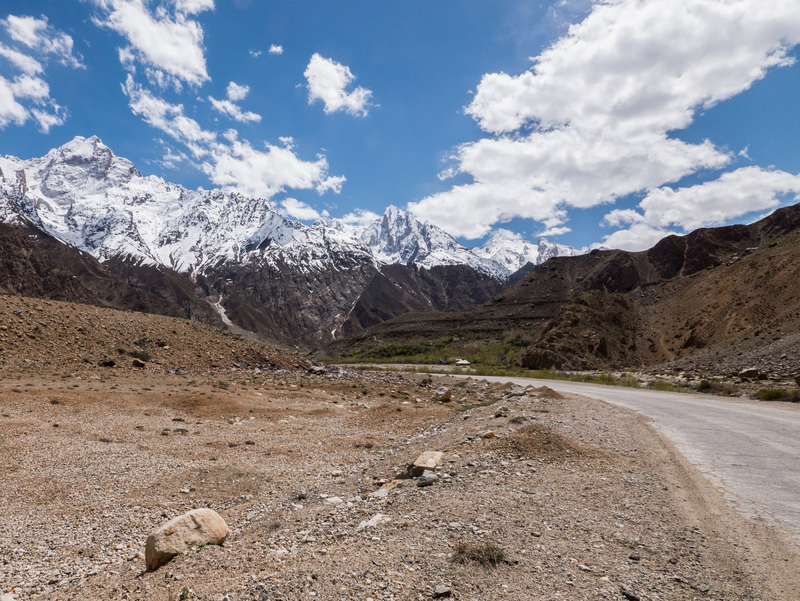 There’s a definite self-selection for travelers trying to push the envelope of what’s possible in Central Asia. And for those seeking that experience, it’s never been easier to go. It’s at this strange place in time where things like visa policies and travel regulations are opening up, but the darker parts of society haven’t really been brushed up and polished yet. With everything from laws, to borders, and even police as flexible as they can be in that part of the world, anything is possible with a little determination and maybe a little well-placed cash. To reflect, I’m going to give lengthy answers to my favorite questions I’ve gotten from all the people I’ve interacted with during and after the trip, including some thrown in from me. Are you really asking that? I can’t definitively say that the trip was the hardest thing I’ve ever done, but on the other hand I can’t really think of anything I’ve done that’s really required more of a sustained effort over that length of time. As I look back on the trip from a comfy couch in West LA, I just feel sort of exhausted. It was a tiring, taxing trip, across a generally difficult region to travel in. 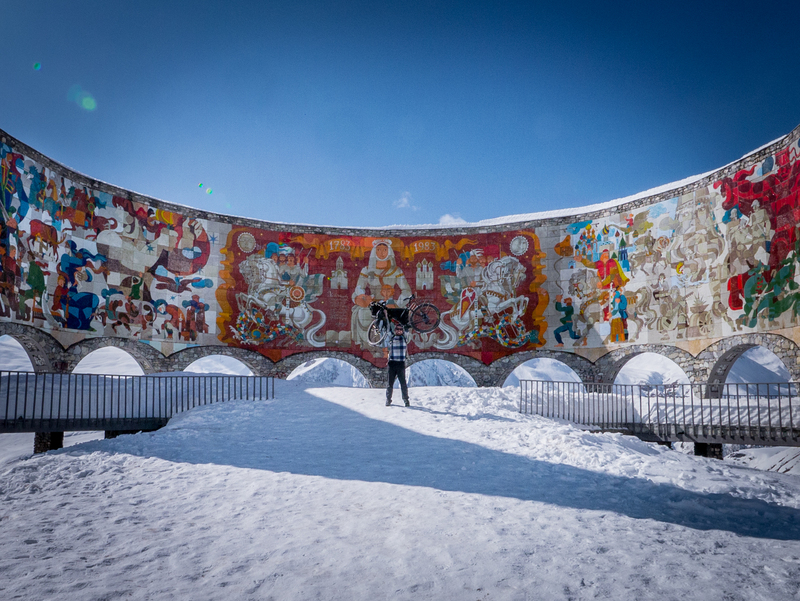 The riding was intense, the pace was pretty blistering, and I couldn’t speak coherently with anyone because I don’t speak Russian or the local languages. Even the most populated areas just felt pretty lonely and isolating. Georgia feels like a lifetime ago. Vast swaths of desert had to be crossed. Some campsites were just truly in the middle of nowhere. With the poor road and flat scenery, you could see headlights approach for a good 20 minutes before someone would pass in the night. 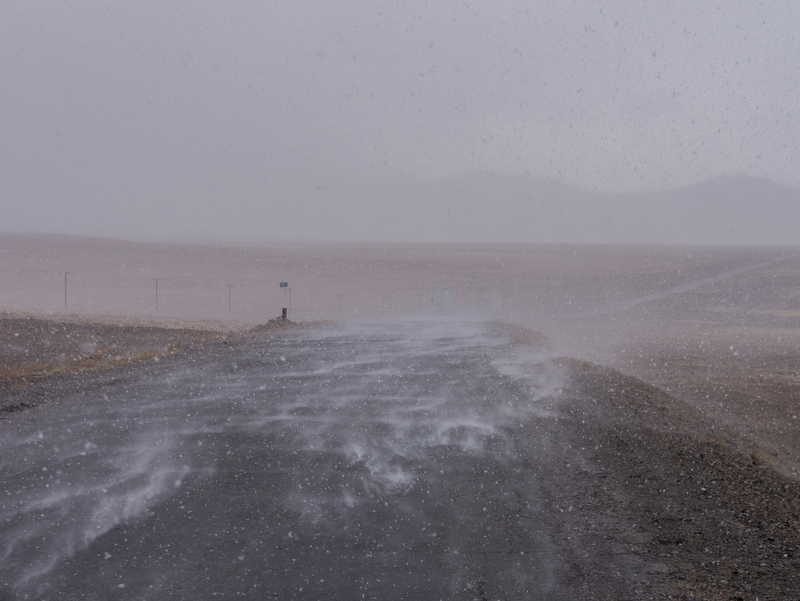 Blowing snow in the Pamirs, getting passed by maybe one car every two to three hours. But it was worth it for descents like these. “Why are you here? !… Why are you… here? The attitude of all the police officers in Xinjiang. The first question a demanding, authoritative inquiry about my motives. The second, astonishment and confusion at the oddity that sits before them. I always told them very explicitly that I was not spying for the American Government. But after awhile I didn’t care. You get over it. I saw very few other cyclists on this route. Some of that can be chalked up to the season. 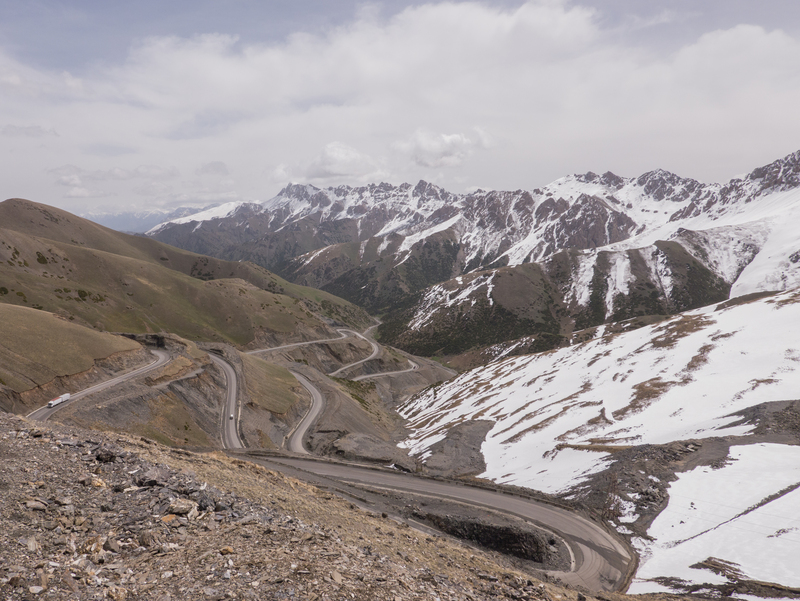 I had planned to do the Pamir Highway with others, but I got there really early in the season and ended up doing it on my own. Additionally, a significant bulk of the trip was sort of done in places that cyclists either skip or otherwise avoid because of the monotony. 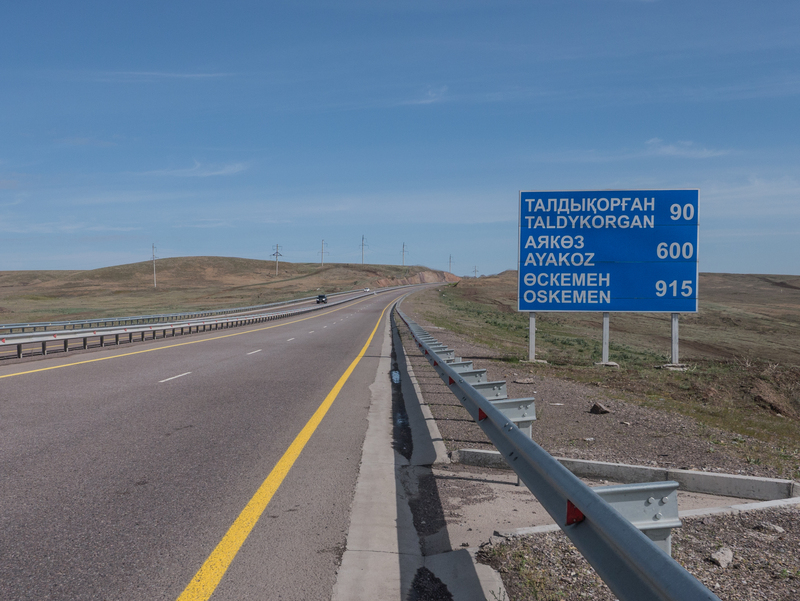 Aktau, Kazakhstan to Nukus, Uzbekistan is one example of this. Vast desert, a stupidly straight road, and unbelievable wind. The road was rough, and I had to end up rationing bike tube patches because I was seeing so few cyclists. Another two of these more out-of-the-way stretches were from about Almaty to the Chinese border, and then the entirety of Xinjiang, China. Those two stretches, while back-to-back on the map, were monotonous for very different reasons. Did you ever talk to yourself? I never managed to have a full deep conversation with myself, but we would chat occasionally about various things. What were your favorite places? Georgia for the two thousand year history of the Jvari Pass and learning about the country’s complex political relationship with Russia. Also for its bread and food in general, the best on the trip. 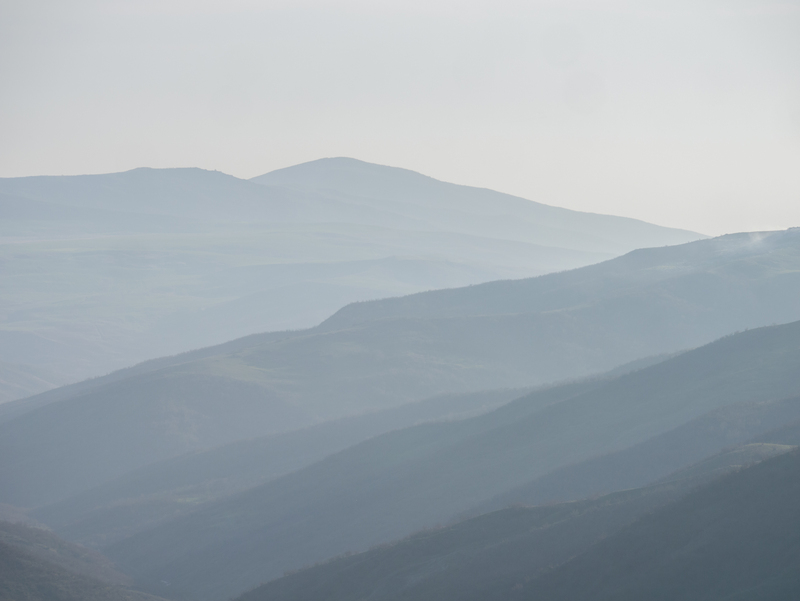 Azerbaijan for its Ladas, incredibly kind shepherds, beautiful rolling green scenery, and for learning about the country’s fascinating and complex political relationship with Russia. 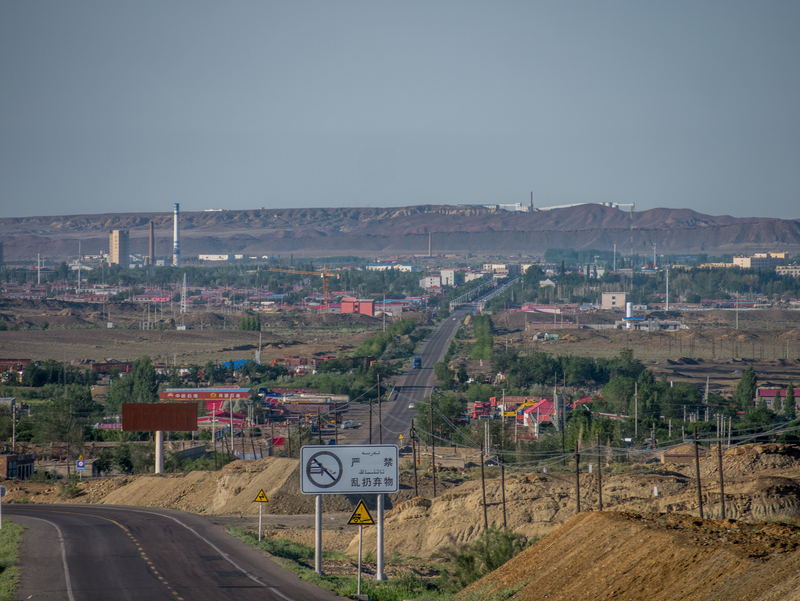 The first part of Kazakhstan wasn’t so great, but I met some great cyclist friends in Aktau, and learned a lot about the country’s complex political relationship with Russia. 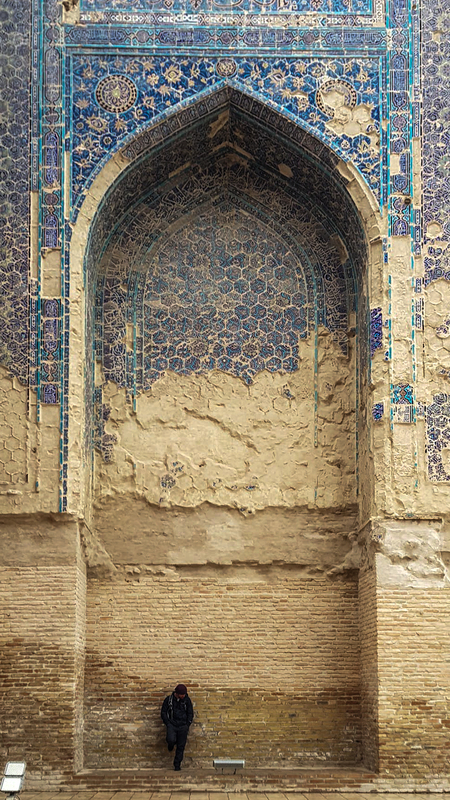 Uzbekistan for Bukhara, Samarkand, and the country’s complex political relationship with Russia. OK, you get the point. 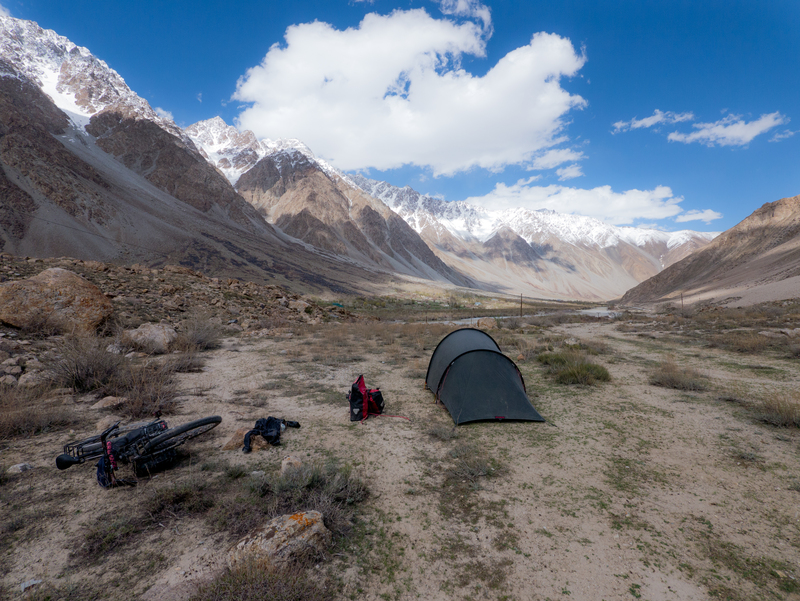 Tajikistan for the physical and mental challenge in a literally breathtakingly gorgeous setting. 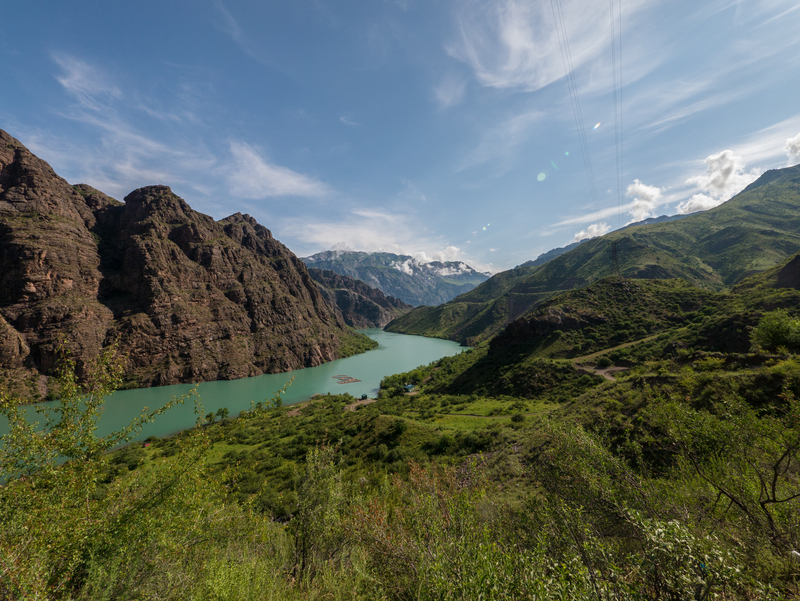 Kyrgyzstan for the lushness and nice cities. 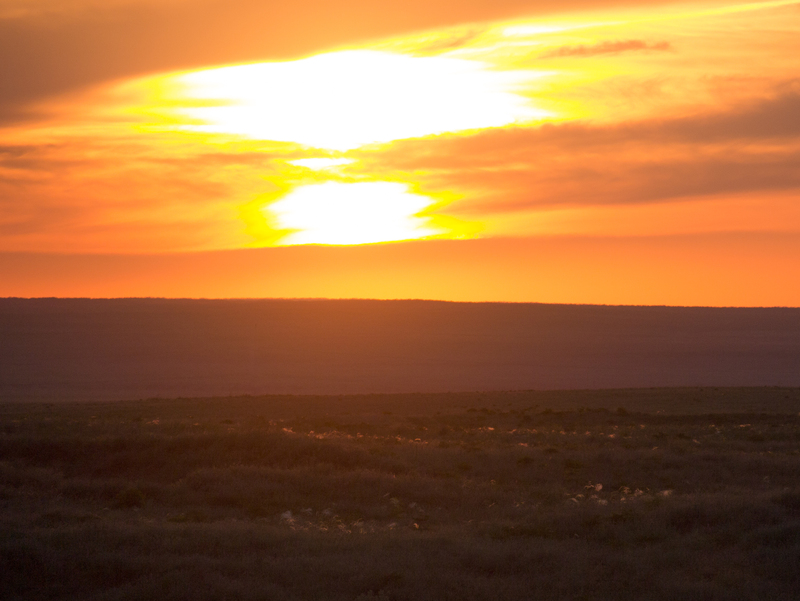 Kazakhstan part two for, well, not much except for some incredible campsites and sunsets. 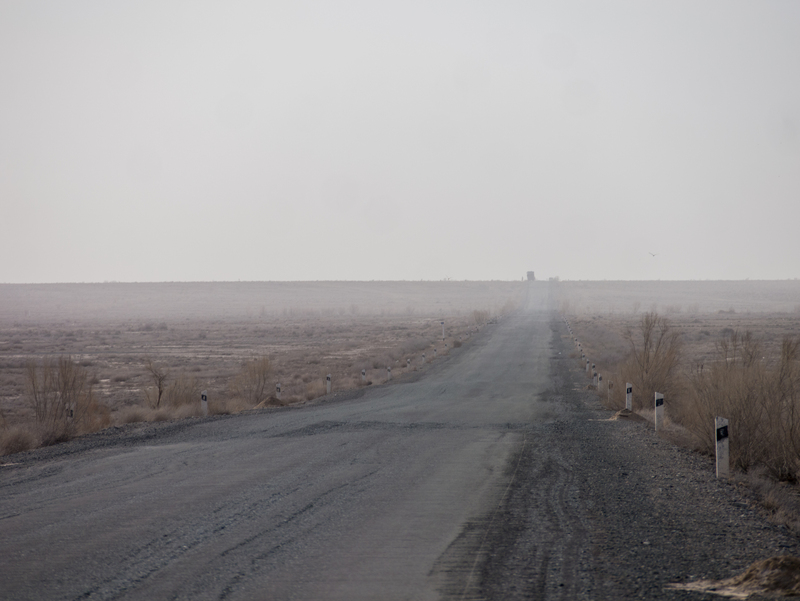 Xinjiang for the sheer absurdity and challenge of daily travel in an authoritarian state. 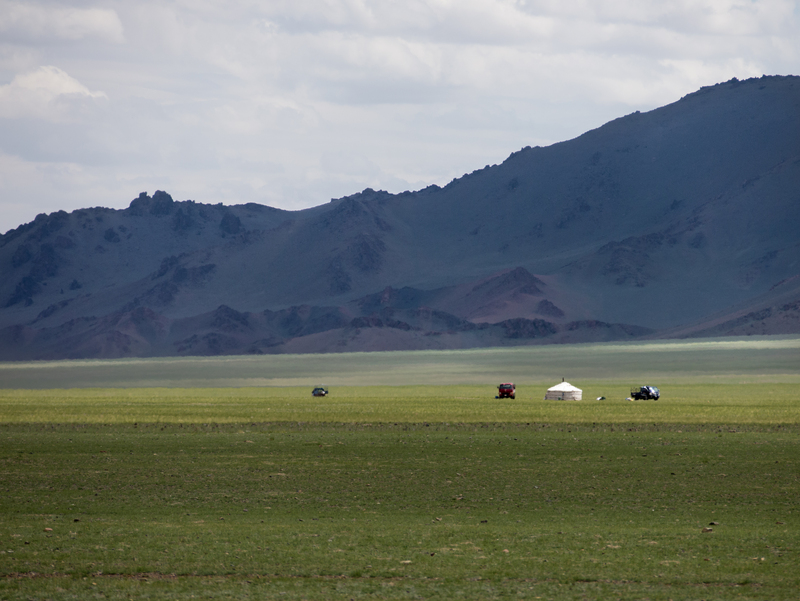 And Mongolia for absolutely gorgeous but remote scenery. 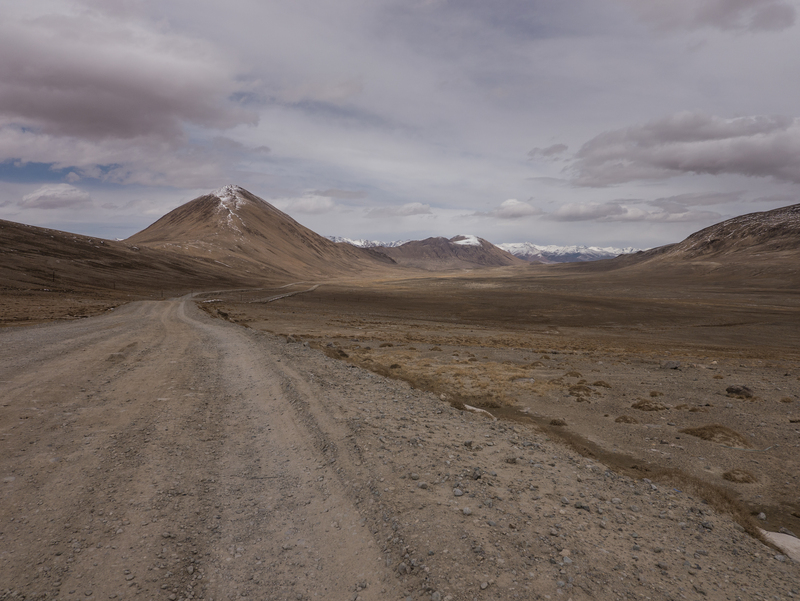 I was probably most awestruck by the Pamirs. The mountains were truly special for their remoteness. And the passes were absolutely intense. 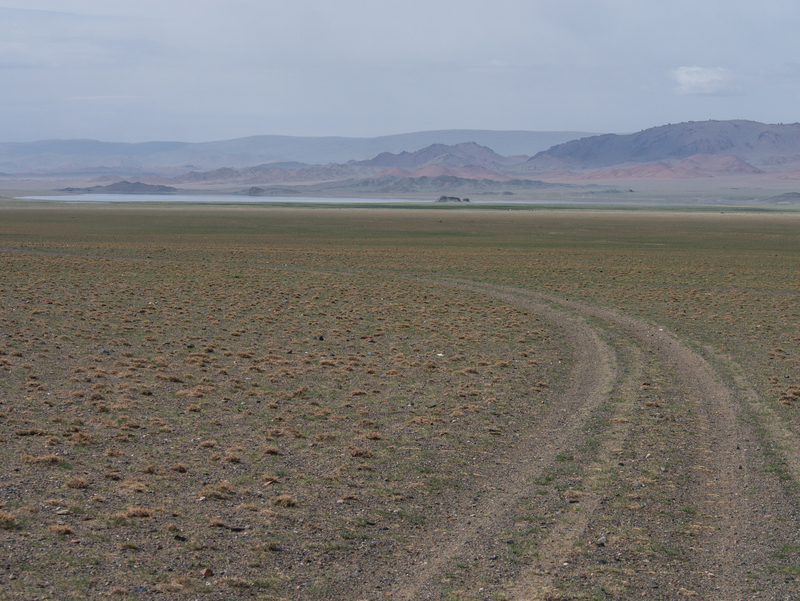 This is in no-man’s-land between the Tajik and Kyrgyz borders. 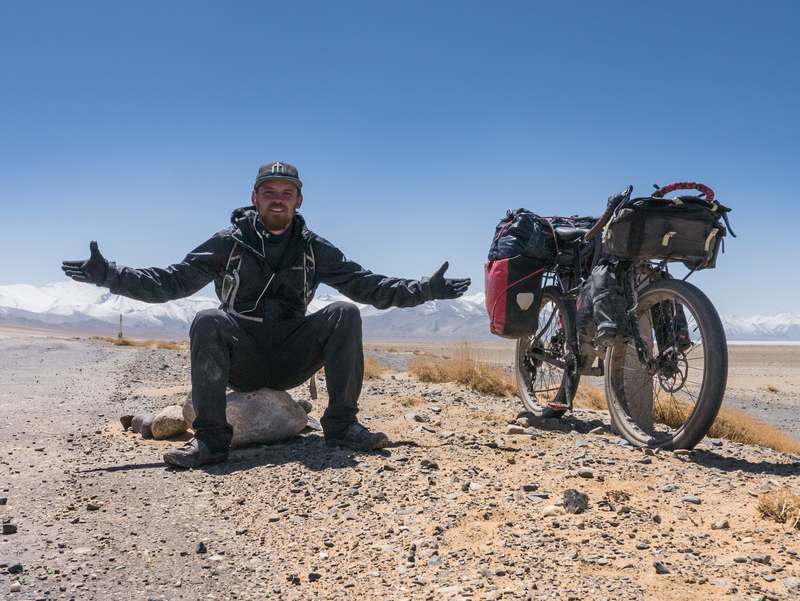 Where should I go if I don’t like biking across continents? I guess when you sit down and look at the map of the trip, there’s quite a lot of the journey that was for some societal or environmental reason hostile to my presence there. If you take those regions out, then you’re left with very few places that didn’t have some obstacle in that vein to overcome. 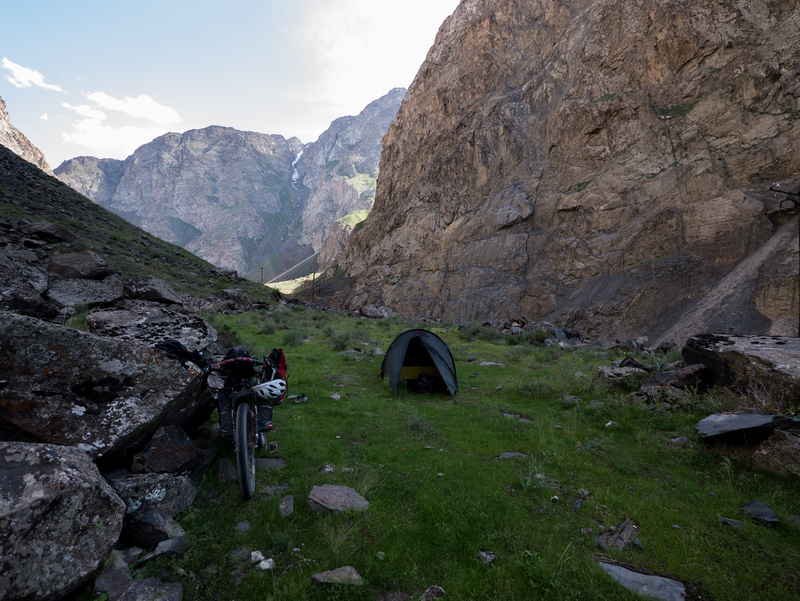 I think that maybe leaves just Bukhara/Samarkand in Southeast Uzbekistan, the Fann Mountains in Northern Tajikistan and maybe some of Kyrgyzstan as the most pleasant day-to-day riding. So there’s a hot tip, and an answer to the question. 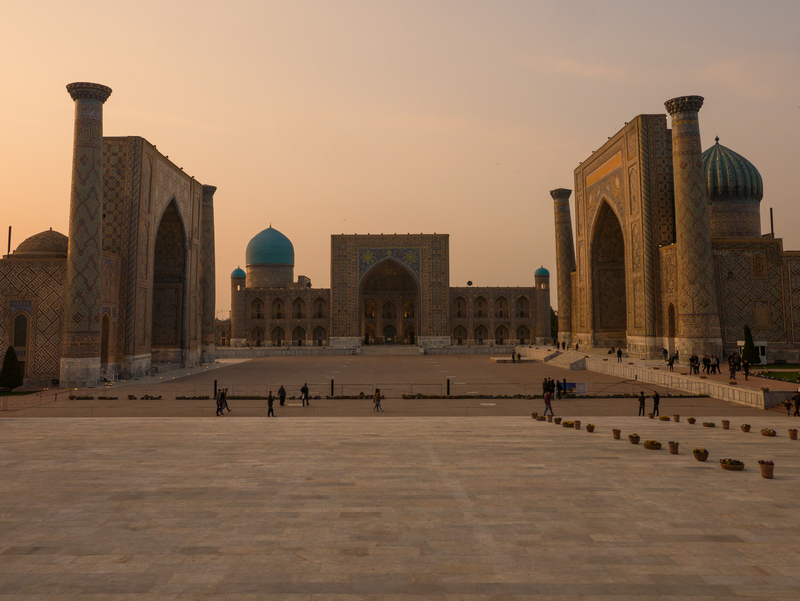 Yes, you should got to Central Asia, and here are three reasons: The ancient Silk Road Cities of Bukhara and Samarkand, particularly in April before it gets hot. 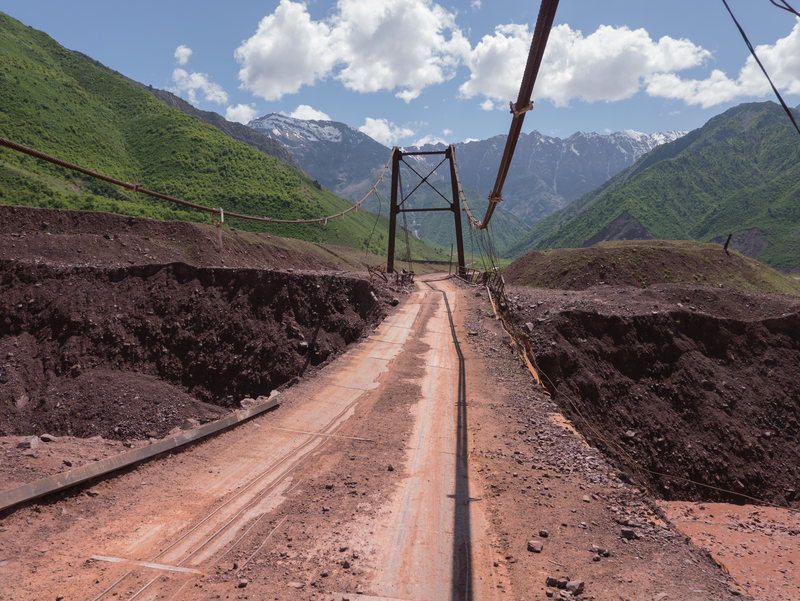 The Fann Mountains in Tajikistan, which are lower than the Pamirs and have a road through them that is in just fabulous shape and the ‘Tunnel of Death’ is no longer really a problem. And finally Kyrgyzstan, where the people are openly proud about how many peaceful transitions of power they’ve had since 1991. There’s a fourth reason, too. You could be spying for the American Government. Would you go back to Tajikistan, in light of the recent events? Uh. Yikes. Hm. I’m growing increasingly uncomfortable with the risks I exposed myself to while I was there already. Camping repeatedly, alone, on the border with Afghanistan, very often in view of or next to roads, in the middle of nowhere. So would I go back? The desire is certainly less than it was two weeks ago. I was only passed by a few people on horseback. I’m not an American spy, damnit. Do you have a place to sleep tonight? Yeah, but my mattress hasn’t arrived yet so I’m still sleeping on a couch. Where can I buy peanut butter in Dushanbe? At the Auchan on Bekhzod Street. 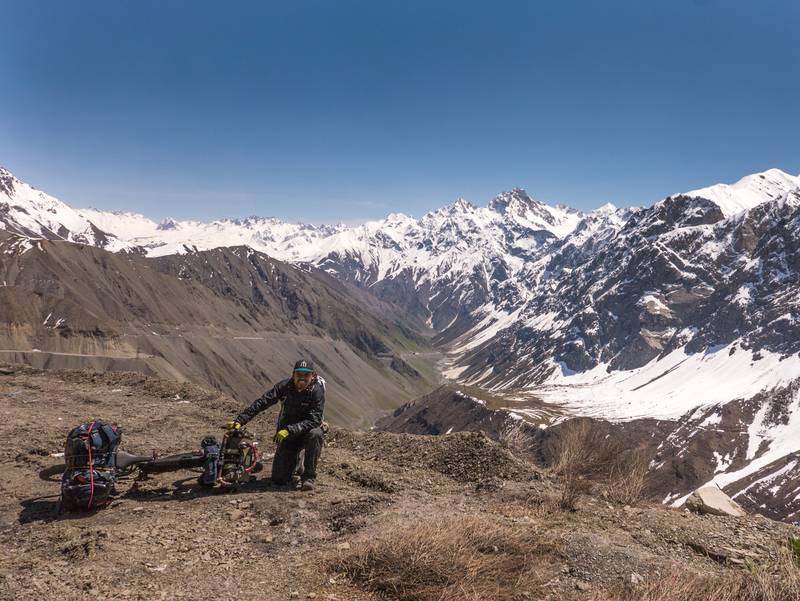 My bike broke down in Dushanbe and I need a high quality part for the Pamirs. Am I out of luck? No. Stay at the Green House Hostel and talk to someone about flying in a part from Moscow. 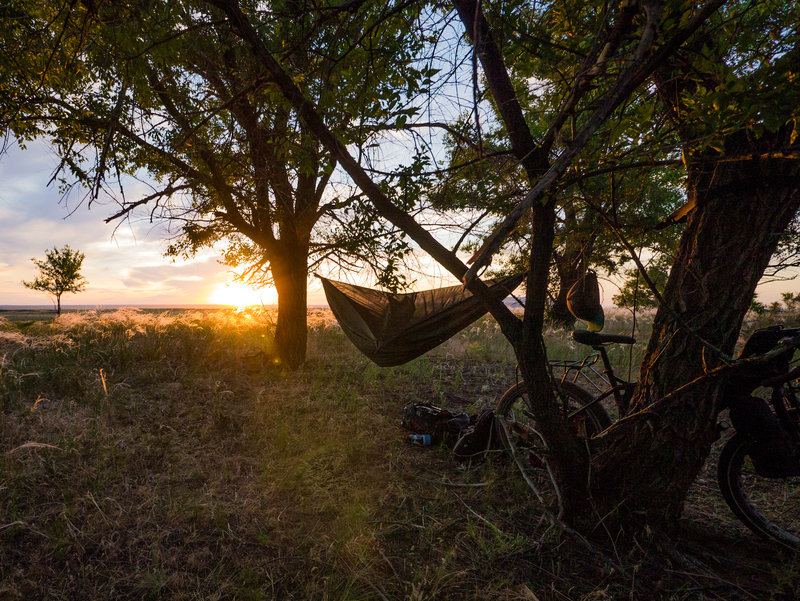 What was your favorite campsite? What was your favorite drink of water? I found some frozen water bottles in Xinjiang one day and stashed them in my frame bag. That kept my legs cold and gave me cold water all day. It was glorious. Because if the goal over my life is to cycle around the world, then I had to do this part at some point. I guess I learned things about myself along the way. I’m pretty fit now. But it was just really tough. Since I’ve been back, I spent three weeks at home in Eugene and then moved to Los Angeles and continued riding a lot. I am starting graduate school at UCLA in a month and a half, which is tucked up in Westwood against the Santa Monica hills. I’m having a crazy fun time exploring traffic-free roads up and down canyons, gravel and road, with a home base and a place to cook good, recognizable food. My ride usually takes up the morning, and then I spend the rest of the day designing and building my gravel bike. That’ll allow me to ride much further up into the canyons on rougher roads. Right now, life consists of riding, 3D printing, and bike-making. It’s been a great re-entry to post-tour life. Slowly re-engaging the other side of my brain while maintaining my absurd fitness level. I’m building a fiber-winding machine, which will help me create lightweight carbon fiber tubes very easily. More on that in a later post. Thank you again for following along. It’s been a great ride. As always, I’m happy to give any advice you might need on getting through parts of the route. There are plenty of ways to get in touch with me. Hi. My name is Bryan Kevan, and you’ve found your way to my bikepacking and carbon fiber framebuilding blog. I am currently a graduate student in the UCLA Department of Biostatistics. Those activities are not covered here. Enjoy the blog and my pictures! 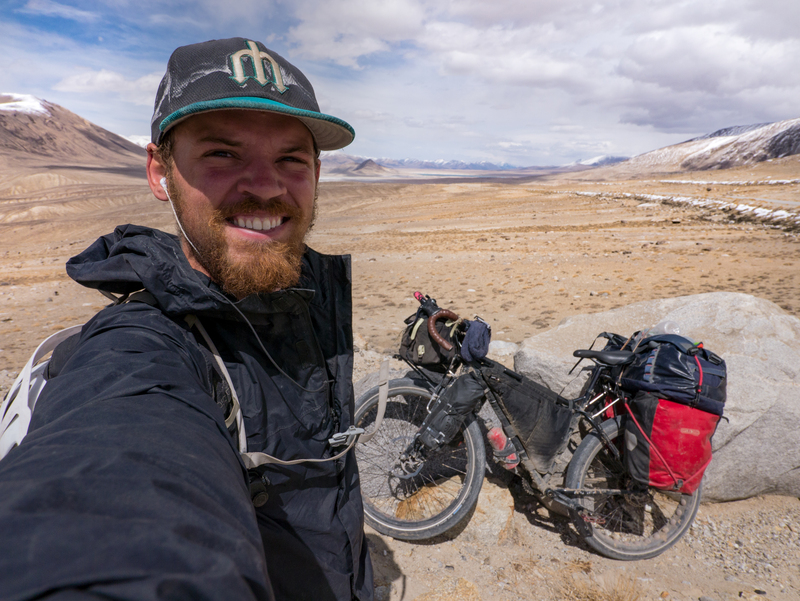 Feel free to contact me at bryanmkevan@gmail.com if you have any questions about gear, traveling tips, or route advice. @uclacycling hosted a fantastic road race this weekend out in the desert. Congratulations to everyone who participated, and to the student organizers for putting on such a well-organized show. For me, proud of a 7th place finish on a homebuilt frame in my first race. But the adrenaline just never pumped. I'm not sure road racing is my world.